Most dating books tell you what not to do. Here's a book dedicated to telling you what you can do. - - In his book, Get the Guy, Matthew Hussey - relationship expert, matchmaker, and star of the reality show Ready for Love - reveals the secrets of the male mind and the fundamentals of dating and mating for a proven, revolutionary approach to help women to find lasting love. - - Matthew Hussey has coached thousands of high-powered CEOs, showing them how to develop confidence and build relationships that translate into professional success. Many of Matthew's male clients pressed him for advice on how to apply his winning strategies not to just get the job, but how to get the girl. As his reputation grew, Hussey was approached by more and more women, eager to hear what he had learned about the male perspective on love and romance. - - From landing a first date to establishing emotional intimacy, playful flirtation to red-hot bedroom tips, Matthew's insightfulness, irreverence, and warmth make Get the Guy: Learn Secrets of the Male Mind to Find the Man You Want and the Love You Deserve a one-of-a-kind relationship guide and the handbook for every woman who wants to get the guy she's been waiting for. A good man is hard to find. . . .
Finding a partner often feels like an awful lot of work for very little reward. The relationship expert Matthew Hussey used to feel the same way. So he did some field research, taught himself to meet the women he was looking for, and built a business coaching other men to improve their love lives. And now he's sharing his insights with you. It turns out that men and women want the same thing: a lasting, meaningful relationship. Matthew says that finding "the guy" isn't just about finding "a guy." It's about creating a life with someone who engages you at every level. In Get the Guy, Matthew shows you how to be proactive in your love life so that you can meet, talk to, and win over the guy who's right for you—without playing games. After reading this book, you will not only get the guy, but you'll actually get him. You will understand how men think and what they're looking for. Attracting the right guy is about being confident in who you are and the value you bring to the table—so you can find a guy who's as great of a catch as you are! 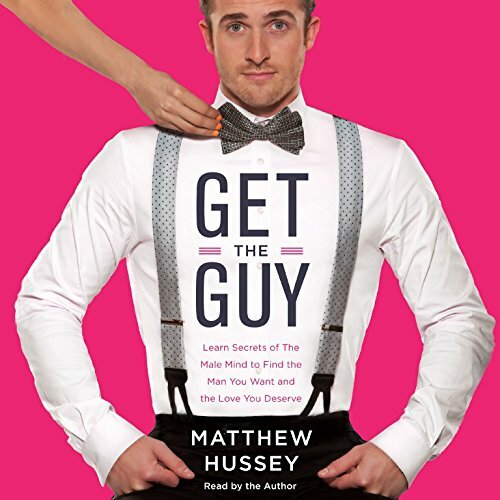 Matthew Hussey is a relationship coach and the founder of the Get the Guy brand, which connects with thousands of women through live seminars and digital programs. He regularly offers relationship advice on the Today show and on the MTV series Plain Jane. He splits his time between London and Los Angeles.